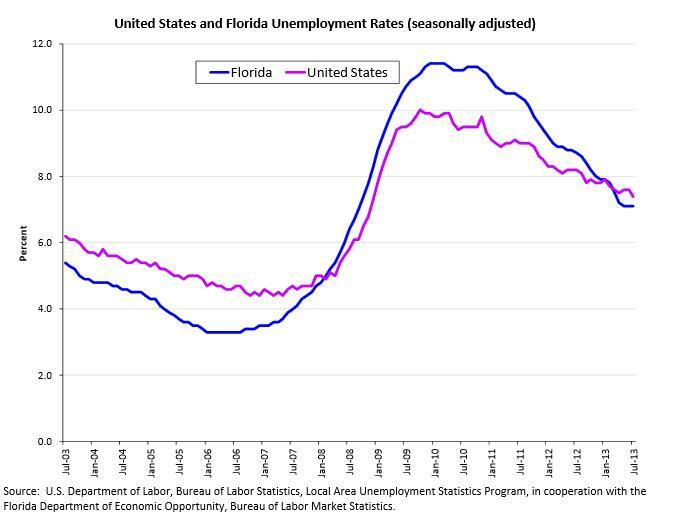 Florida’s unemployment rate inched down slightly in May, boosted by growth in the private sector. Areas with the most growth continue to be Florida’s large metro areas, like Orlando, Tampa, Miami and Jacksonville. Under Florida law, city and county officials face penalties for violating the state’s prohibition on local gun ordinances. As Jessica Palombo reports, after that provision was enacted three years ago, gun rights advocates have filed several lawsuits against local governments and individual commissioners—including in Florida’s capital city. As expected, Pam Stewart this week got to drop the word "interim" from her title and became Florida’s newest education commissioner. Lynn Hatter reports Stewart’s appointment has some education watchers hoping the revolving door at the Florida Department of Education will stop turning. Florida’s unemployment rate is 7.1 percent. It’s been at that level since May. That’s still below the national average of 7.4 percent and almost five points lower than it was in 2010 when it peaked at around 11 percent. Madison, Hendry, Flagler, Putnam and St. Lucie Counties continue to have unemployment rates near or above 10 percent, while Franklin, Okaloosa, Monroe, St. Johns and Walton Counties have unemployment rates below 6 percent. Figures released Thursday show Florida’s unemployment rate remained flat at 7.1 percent in June. State officials say although the rate remains the same, the workforce is steadily growing. Department of Economic Opportunity Executive Director Jesse Panuccio said the state’s unemployment sits below the national average for the fourth month in a row. He says the labor force has grown by about 50,000 workers since the beginning of the year, but some area like the manufacturing sector have been slow to grow. 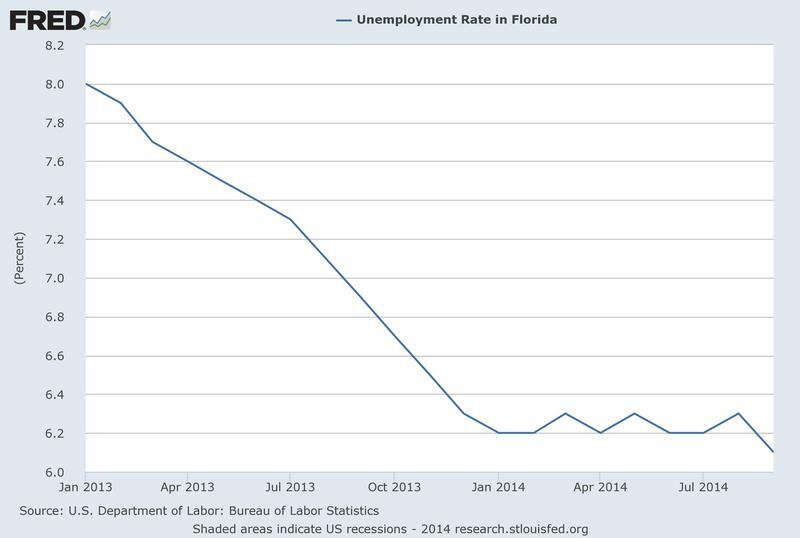 Florida’s jobless figure may look like it’s improving. But, looks can be deceiving, because the state’s top economist says about 90-percent of the decline in the state’s unemployment rate is really due to people giving up the job search. The Florida Department of Economic Opportunity released the May jobs numbers on Friday. 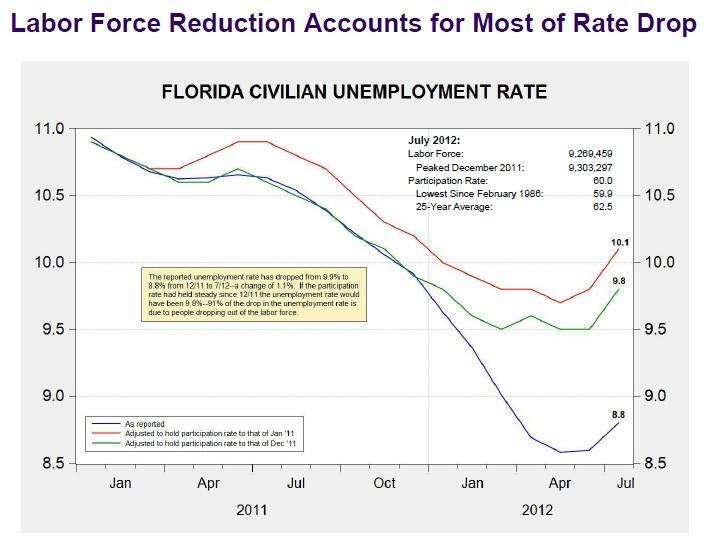 Florida’s unemployment rate continued its decline, reaching the lowest point since December of 2008. It dropped 2 percent over last May’s rate to 8.6 percent. The department’s chief economist, Rebecca Rust, says the outlook for college graduates has improved in each of the past two years. “But it is still a tough job market, and graduates need to be looking look at, when they pick their careers, looking at areas where there is positive job growth forecasted,” she said.